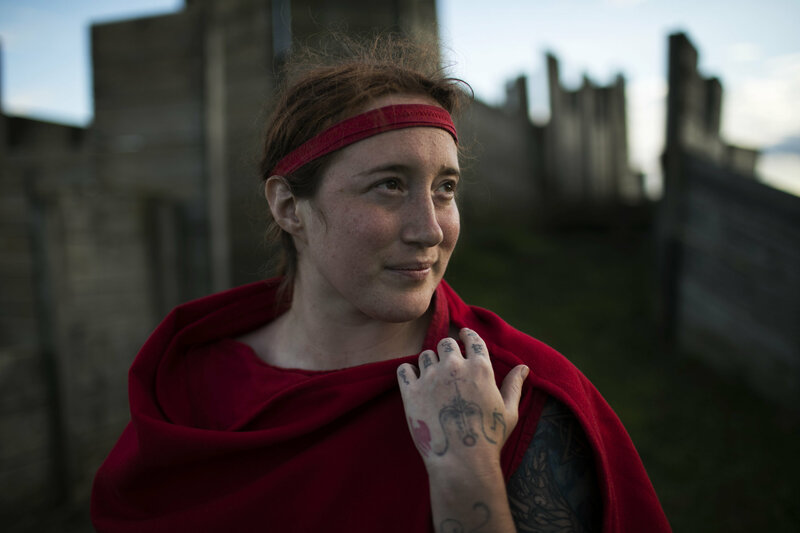 Hannah Hoffman at Ragnarok, June 23, 2018. 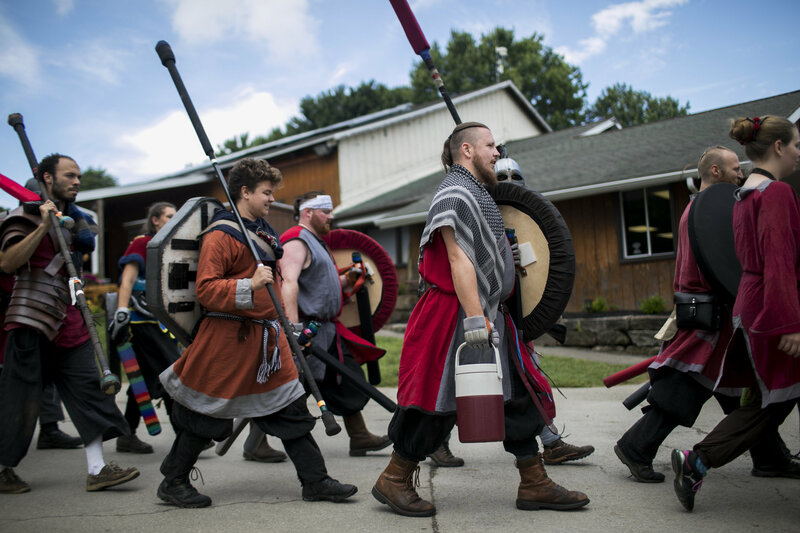 Dagorhirrim battle at Ragnarok, an annual live action roleplay battle in Slippery Rock, Pennsylvania. 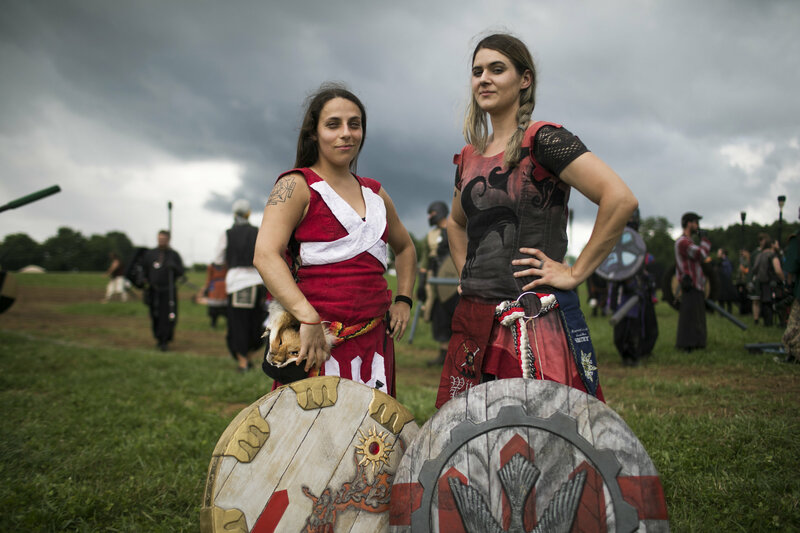 Ianje Castallanos and Sev Gedra, Queens of Ragnarok. 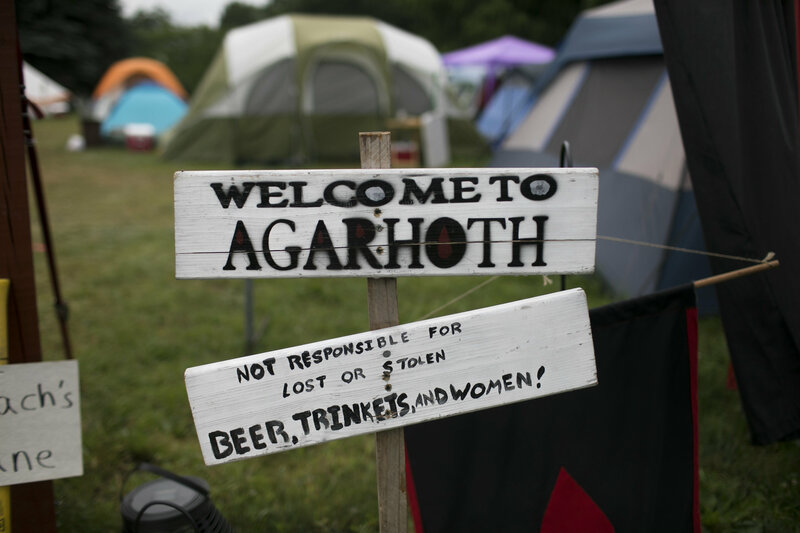 A “Welcome to Agarhoth” sign at a camp entrance. 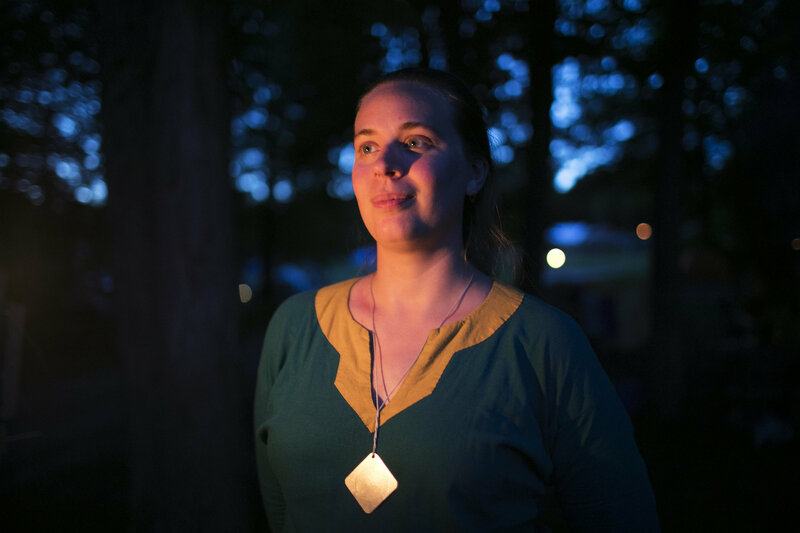 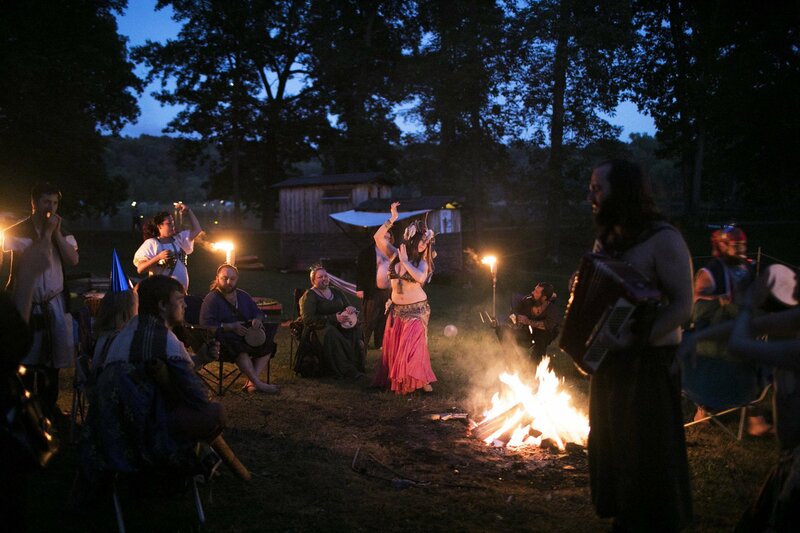 Rag attendees drink, dance and make merriment around the fire at an after-hours campout. 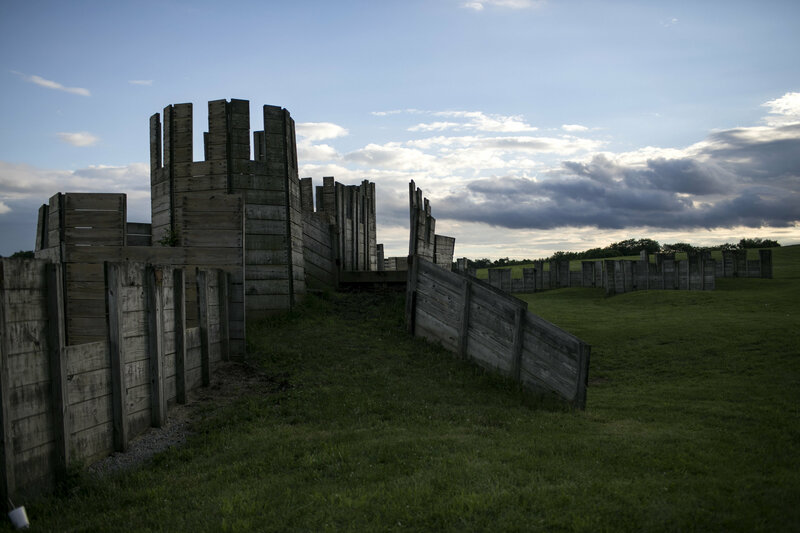 A castle erected for various battles at Ragnarok. 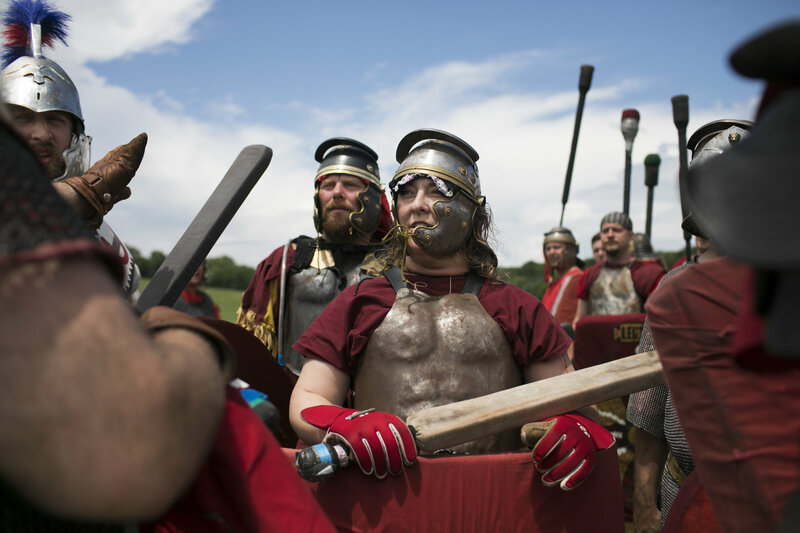 Warriors march to the battlefield. 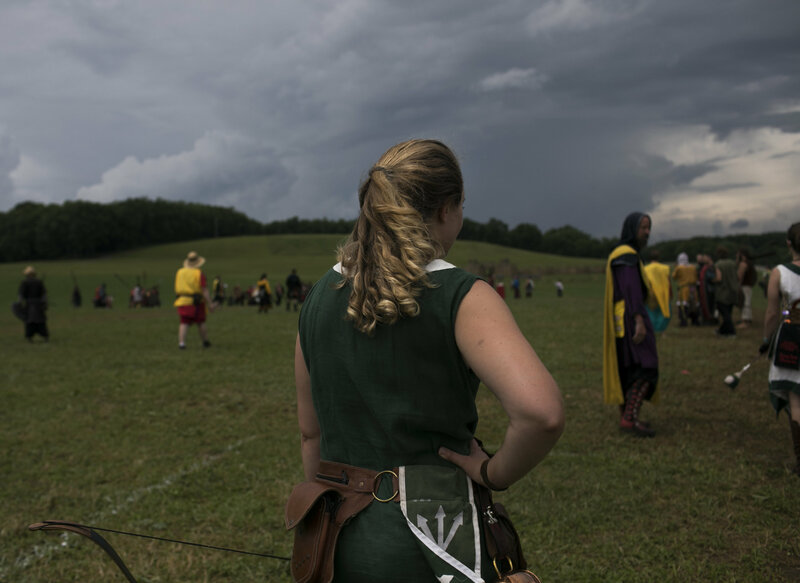 Lauren Partlow, aka Phoenix, took the “arbiter” position at Ragnarok to help victims of predatory behavior. 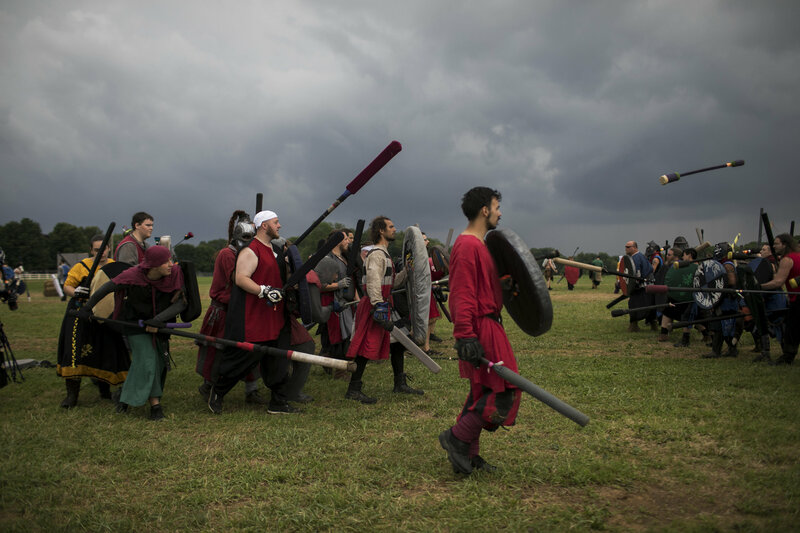 Attendees hug on the field while training for battle. 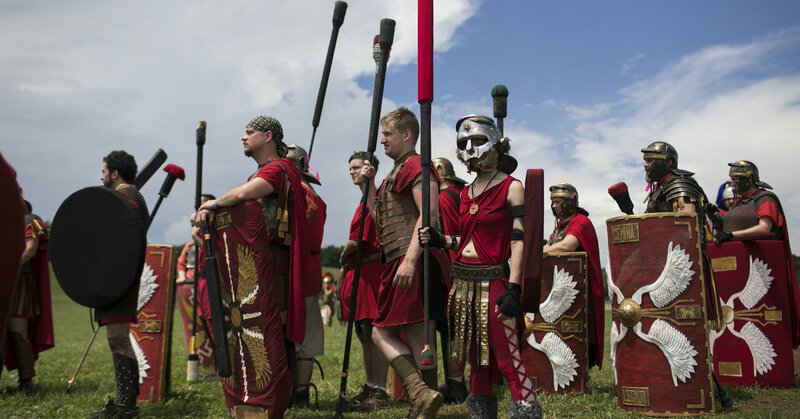 Ragnarok attendees preparing to battle. 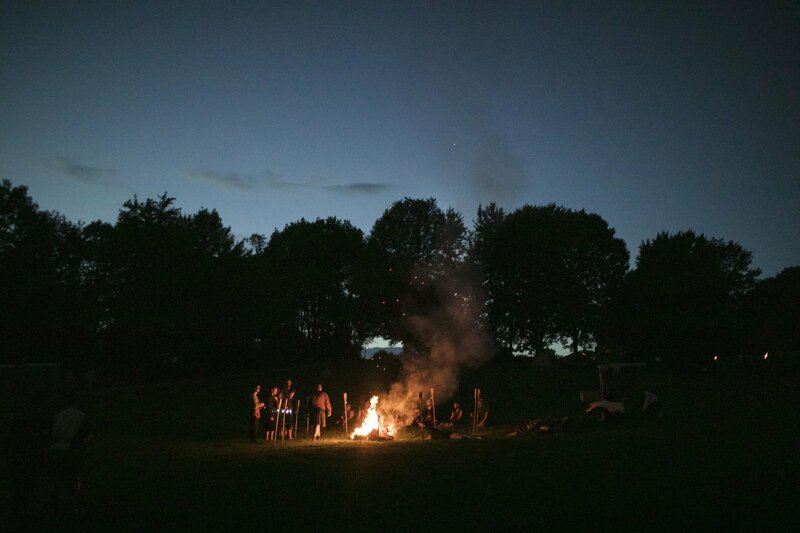 A bonfire rages after dark at Ragnarok.